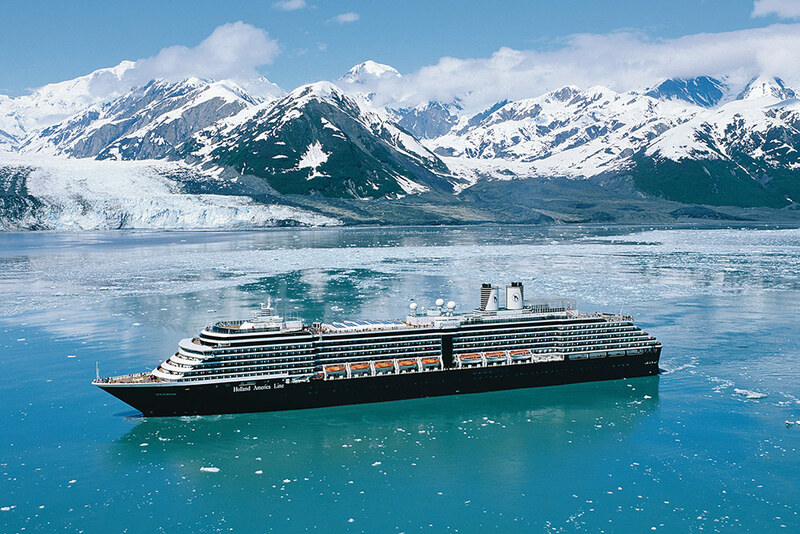 The MS Oosterdam navigates the waters of Alaska while cruising Hubbard Glacier. Photo courtesy Holland America Line. The insider advice on this page is from one of Wendy’s Trusted Travel Experts for cruises: Tom Baker of Cruise Center. Tom has sailed on more than 250 ships. From Alaska to French Polynesia to the Panama Canal, from the Douro to the Rhine to the Danube to the Mekong, if an ocean or river ship docks there, chances are he’s been—more than once! And his encyclopedic knowledge of the pros and cons of the different cabin types on different vessels will astound you. First he’ll help you pinpoint the right ship, cabin, and itinerary, then he’ll advise which private guides, group shore excursions, and flights will best suit your needs, all the while making sure you get the best value for your dollar. Finally, he’ll advocate strongly for you should anything go wrong. 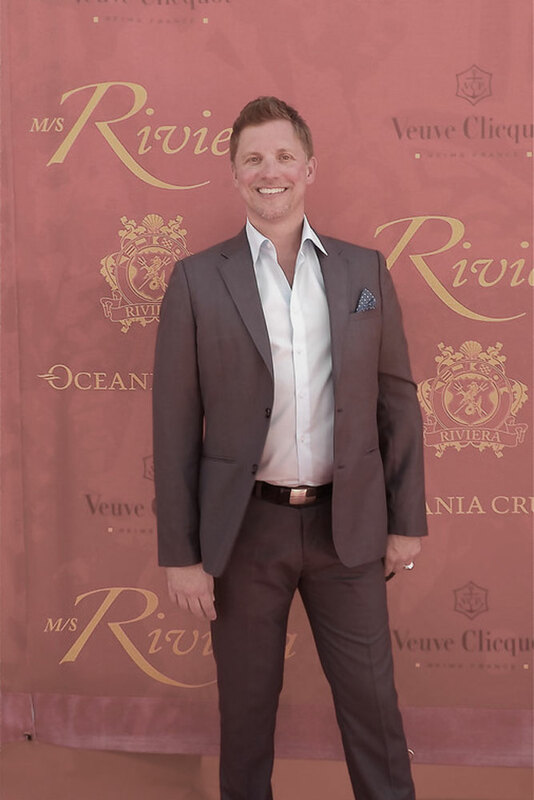 He has particular clout with river lines AmaWaterways, Amadeus, Scenic, Tauck River, Crystal River Cruises, Uniworld, and Viking, and with ocean lines Celebrity, Crystal, Holland America, MSC, Norwegian, Oceania, Royal Caribbean, Regent Seven Seas, Seabourn, and Windstar. Ocean cruises start at $150 per person per day; river cruises start at $300 per person per day (both based on double occupancy). The Norwegian Bliss and her sister ship, Norwegian Joy (the largest ships to sail Alaska’s waters), which set sail from downtown Seattle every Saturday and Sunday from May through September, and the Norwegian Jewel, which cruises between Monday to Monday Vancouver and Seward (a port for Anchorage) on what’s often called the Route of the Glaciers. Fares on these ships can be up to 10 percent less than on Holland America, Royal Caribbean, Princess, and Celebrity. These ships are especially suited to families with young kids: The onboard atmosphere is casual—there’s no formal dress code—and the ships have well-managed kids’ clubs and a wide variety of entertainment options. Silver Whisper Medallion Suite. 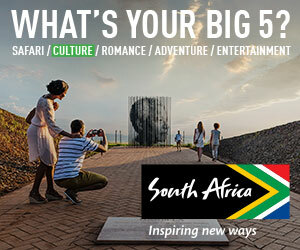 Photo courtesy Silversea Cruises. Crystal Cruises sails Alaska with its 848-passenger Crystal Symphony, a ship that is consistently rated among the world’s best. Symphony offers a lovely country-club-chic atmosphere, sophisticated open-seating dining, a lecture series and enrichment program, plus award-winning entertainment. Rates start around $350 per traveler per day, which includes all beverages, meals, and gratuities. 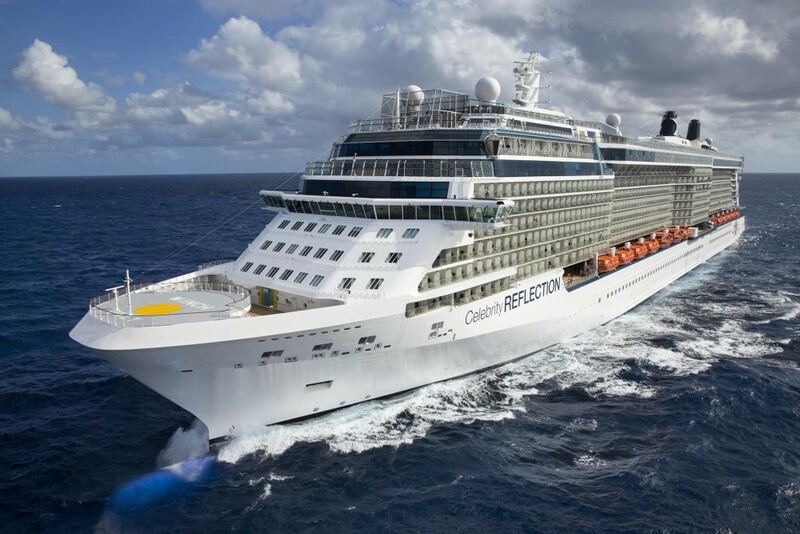 The 2,800-passenger Celebrity Solstice. It’s a stylish ship, with wide-open spaces and glass skylights that fill the public areas with light. While the food in the main dining room is average, several of the ship’s smaller specialty restaurants turn out great meals for a modest fee. Travelers in the top-category suites will get access to their own private restaurant (called Luminae), and all four Celebrity perks (Premium Beverage Package, Prepaid Gratuities, Shipboard credit, and Internet Package) will be included for the first two guests in the suite. Two expedition vessels—the 62-passenger National Geographic Sea Bird and the 100-passenger National Geographic Sea Lion—sail between Alaska’s Inside Passage ports-of-call, visiting many more ports than most big ships can manage. First-rate naturalists give lectures onboard between ports, and when the ship is docked, passengers board zodiacs, canoes, and kayaks to explore their natural surroundings up close. Neither vessel is plush, and the food is more home-style than gourmet, but the service is good, and you learn a ton. These Alaska cruises are pricey—nearly $1,000 per person per day—because of the unique itinerary and shipboard expertise, but they sell out quickly nonetheless, so book a year in advance. Norwegian Cruise Line and Holland America often run seasonal promotions where kids under 18 sail free or at reduced fares. These sales are limited-time and capacity-controlled, but watch for them, because they can be the best-value sailings in Alaska. Keep in mind that Norwegian’s shipboard atmosphere is much more casual than Holland America’s; the latter is more traditional and has a dress code on some nights. There are no bargains for solo travelers on an Alaska cruise: Fares for singles are based on double occupancy and thus are typically twice the usual price. Sometimes luxury lines such as Regent Seven Seas and Silversea Cruises may charge solo travelers just 30 percent to 50 percent more than the usual per-person price. These are typically only offered closer to sailing. The small-ship expedition vessels operated by Un-Cruise Adventures, Silversea Expeditions, Ponant, Windstar Cruises, Seabourn, and Lindblad Expeditions/National Geographic offer knowledgeable onboard naturalists, zodiac landings, kayaking in Glacier Bay, guided hikes, and more. They cater to adventure seekers who would never be caught dead on a tour bus. Of course, the smaller the ship, the heftier the price tag. Rates start at $900 per person per day for a seven-day Alaska cruise in peak season. Crystal Symphony‘s elegant main dining room offers two menus: one with traditional cruise fare, another with more modern options. There’s also the Asian-inspired Umi Uma by Nobu, Prego for gourmet Italian fare, and Tastes for an innovative approach to tapas. You can dine at each venue once for free, and additional dinner reservations can be made for $30. Many people think they want a balconied cabin on an Alaska cruise, but the truth is that with cooler temps and plentiful rain and wind, passengers rarely use those balconies. Among my favorite cabins are Holland America’s large oceanview staterooms. At 200 square feet, with big picture windows, three to four closets, and relatively large bathrooms that come with a tub, these cabins accommodate three to four passengers comfortably and work especially well for families. AquaClass cabins on Celebrity Cruises’ Solstice are about the same size as the ship’s oceanview staterooms (195 square feet) but come with a balcony plus access to the spa’s private steam rooms and lounge, a dedicated concierge, and Blu, an intimate shipboard restaurant. The mini-suites on the Norwegian Jewel are 285 square feet (compared to 160 for a standard oceanview cabin) and sleep up to four people. They’re priced significantly lower than similar staterooms on competing ships and often cost only an extra $200 per person above the price of a balconied cabin. The 5,750-square-foot Garden Villas on the Norwegian Jewel. They each have with three bedrooms, three bathrooms, floor-to-ceiling windows, multi-tiered balconies, and an outdoor hot tub. Oh, and there’s a butler too, on hand to help you unpack, make reservations for restaurants and shore excursions, or plan the party you could easily host on your huge private sundeck. All the Garden Villas are in the VIP Haven section, which has its own pool, gym, and restaurant. While there are more luxurious ships sailing in Alaska, Norwegian has gone all out with its Garden Villas. They’re easily the largest family staterooms at sea—they can comfortably accommodate up to eight—and are outfitted with the same amenities you’d expect to find at a five-star hotel. In fact, these rooms are so private and so luxurious that many Hollywood and music-industry celebrities, and even one royal family, have booked them. Not surprisingly, luxury like this doesn’t come cheap: The suites run about $40,000 per week, but occasionally you can snag them for thousands less. The two-bedroom suites (Category SC Penthouse or Haven S4) on the Norwegian Jewel, Norwegian Joy, and Norwegian Bliss. The suites are 540 square feet, which is more than three times the size of a standard ocean-view cabin, and have a king-size bed and sea-facing en-suite bathroom in the master bedroom. The second bedroom also has its own private bathroom, and there’s a living area and a dining room too. Both suite types offer concierge, butler, and VIP services. They can sleep up to six passengers (there’s a pullout sofa in the living room). Second best are the standard balcony cabins on the Celebrity Solstice. The ship has 121 connecting cabins in balcony cabin categories where Mom and Dad can have their own stateroom that connects to another stateroom accommodating up to four kids. Each cabin is at least 195 square feet, not including the balcony space, where the privacy partitions can also be opened. Mount Denali viewed from the road into Denali National Park and Preserve. Photo courtesy State of Alaska/HagePhoto. Skagway. It’s where the Klondike Gold Rush began in 1898, and the city still retains its historic character. One of the more interesting (and fun!) shore excursions is to take the narrow-gauge train along the jaw-dropping cliffs, while local guides spin yarns about the miners living in the area during the height of the Gold Rush. This depends on your specific interest or motivation. If you’re interested in saving money, the shoulder seasons of May and September are the best times to go. Spring is a great time to see the wildflowers in full bloom, and Alaska’s fall foliage is gorgeous as well. Your warmest and longest days will be in June and July, when you’ll also see active, calving glaciers. If you are traveling with children, you may be limited to mid-June through mid-August. The entry into Skagway (the Inside Passage port that’s farthest inland) via the scenic Lynn Canal. This narrow passageway is flanked by mountains and hanging glaciers, and the water takes on a strange green hue due to the tidewater glaciers melting and leaving behind their sandy and icy residue. You need to rise early to see it, but it’s worth the wake-up call. The lectures, dance performances, and crafts workshops led by the Tlingit aboard the Holland America ships. 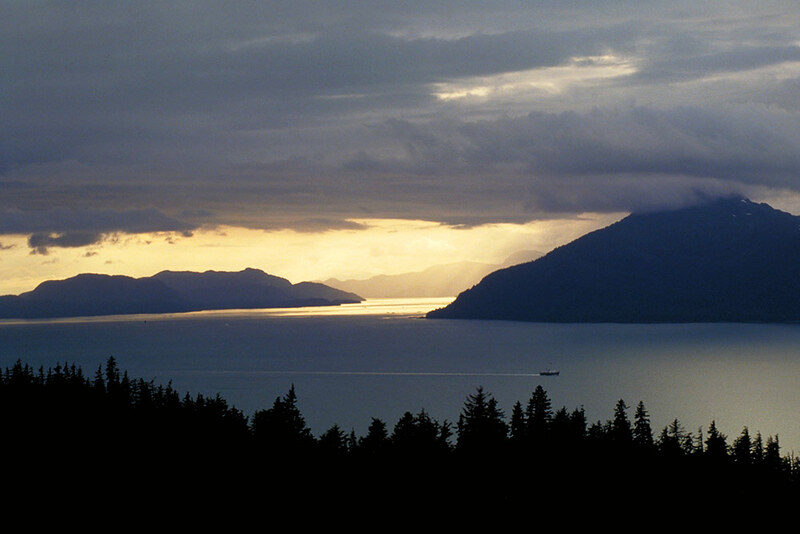 Native to southern Alaska, the Tlingit share their unique traditions and history with passengers throughout each cruise. To make sure you get the best dining time and shore excursions, you should book at least a year in advance. Don’t be too concerned about the price dropping or missing out on a last-minute deal. All cruise lines will reimburse you if your fare falls before you send in your final payment, as long as you didn’t buy a nonrefundable rate and as long as you bring the price discrepancy to their attention. (A good cruise agent will watch for fare drops.) The cruise lines don’t typically reimburse you after your final payment has been made, but if that should happen, your cruise agent might be able to negotiate a cabin upgrade, shipboard credit, or some other perk to keep you happy. From Juneau, take a scenic helicopter ride over the Juneau Icefield, then land on a glacier and climb aboard a sled to be pulled by a team of huskies across the snowfields. A city tour in any Alaskan port is a waste of time and money. You sit on a 40-seat bus that meanders the streets of small fishing towns, while guides rattle off stories (many made up) and stretch out a tour just to take up time, for $40 to $60 per passenger. You’re better off touring on your own by foot. All you need is a good city map, which the cruise line or local tourism office ashore can easily provide.